Main visited places: Northern Cardo (road oriented north-south), the House of the Skeleton,Thermopolium (restaurant food), Men’s Thermal Bath, Temple of Augustali, Forum (main square), House of the Black Saloon, House of Neptune and Amphitrite, House of Bel Cortile, the Samnite House, the House of the Wooden Partition, the Bakery, the Gym, the Home of the Bucks, the Marina gate, terrace of Marcus Nonius Balbus and the beach. 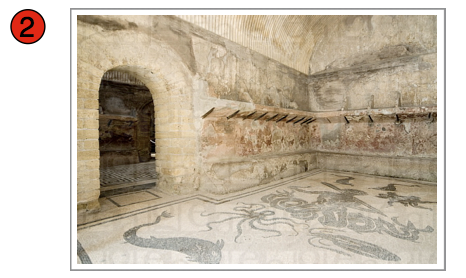 Both the male and female baths, which are next to each other, are well preserved. They were fed by a large well, which brought water from a depth of 8.25m, heated by a large furnace and distributed around the baths by a network of pipes that also served to provide central heaAng. 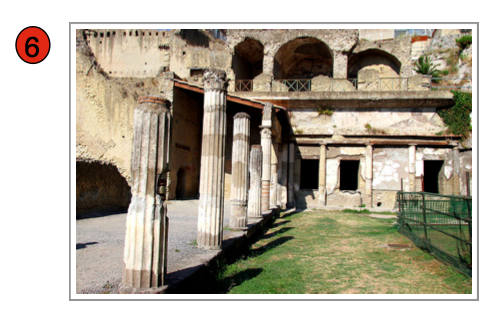 College of the Augustales. The Augustales were an order of Roman priests responsible for aFending to the maintenance of the cult of Augustus, who was considered the first emperor of the Roman Empire. 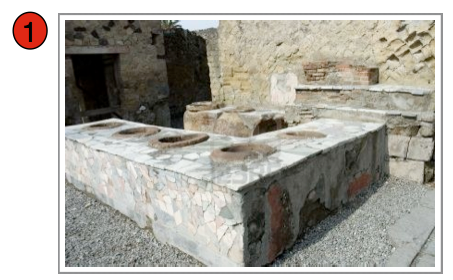 Domus was the type of house occupied by the upper classes and some wealthy freedmen during the Republican and Imperial eras. 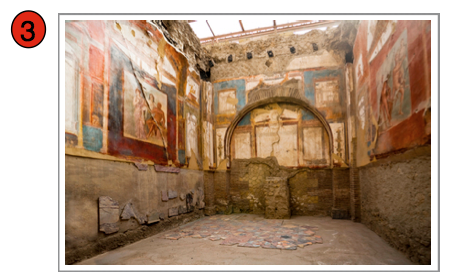 The Samnite House ‐ This is one of the oldest properAes so far discovered on the site. 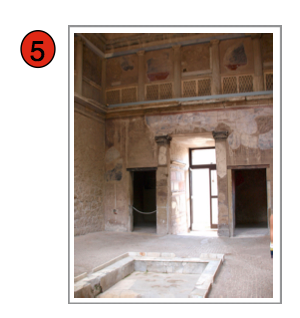 ExcavaAons suggest that, at various Ames, the upper floor was rented out and the courtyard was sold off. 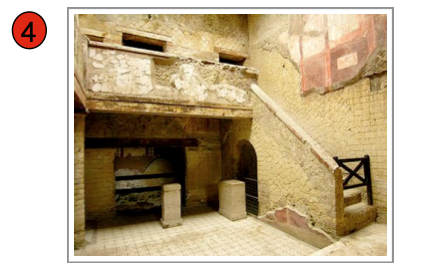 What remains now is a large roofed and elegantly decorated atrium with a few small rooms around it. The Gymnasium funcAoned as a training facility for compeAtors in public games. It was also a place for socializing and engaging in intellectual pursuits. 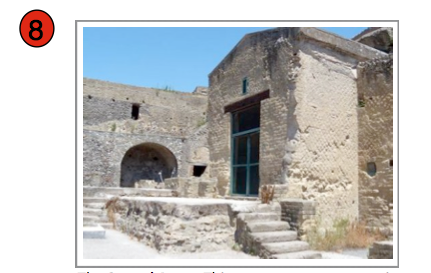 The terrace of Marco Nonio Balbo, Senator and proconsul of the provinces of Crete and Cyrene and a patron of Herculaneum. Upon his death, he was cremated at this locaAon and his ashed stored here. 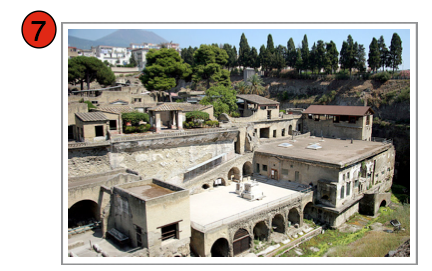 The Sacred Area ‐ This western terrace contains two sacelli at its westmost end and, like the adjoining Terrace of M. Nonius Balbus, was built over vaulted boat houses lining the ancient shore.